Thanks for the photo, Medway Buoy, and the explanation of the locations of my photos. years everything was so old and out of date. I have given the rough location of numanfan's photo's on my picture. other slip was not working and had been out of action for some time. Photograph 1 = To the right of the grey ships bow on the slip. Photograph 3 = Looking down where the the slipway would have been. Photograph 5 = Looking down to the lower limit of the slipway. Photograph 6 = The top of the slipway. Photograph 7 = Storm drain outfall. Photograph 8 = Looking across to the corner of Foundry Wharf. the original main entrance to the shipyard was. Great pics numanfan. It was just like walking down memory lane, I worked in that area for thirty years up to 1990. I have a pic of Doust Shipyard taken from the river,I will dig it out. Up until the 1950s the section of high street you are covering had all the shops required to cater for a families needs instead of going into town, not much choice though. Thought I would just pop that in. Maybe it was called that because it was land that fell within the jurisdiction of Chatham although it was not considered part of Chatham town in earlier times? 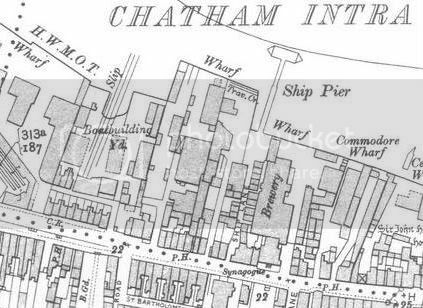 I wonder why this area of Chatham should have been given the suffix 'Intra' meaning 'within' when one considers its position at the edge of the town, or is this itself the reason? 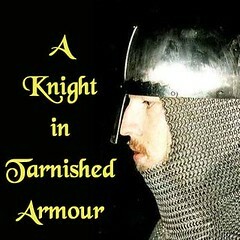 Great photos and write up. Thanks! I'm sure in the late 70s the white timber fronted building in pictures 100_2174 and 100_2175 (under the brewery close-up shot) housed the schools career service as I can remember having to go there for an interview. It was little more than a rubber stamp exercise and I must have been in and out in less than 10 minutes. "He's the hairy handed gent who ran amuck in Kent"
I'll hunt around to see if I've any photos of the area when the River Medway had a thriving industry. It'll be nice to compare it. Thanks for the great pics numanfan and the time you put in finding these hidden places. I've lived in Rochester since 1966 even worked in Featherstones shop (Hulkes Lane boarded up one) and have never been down any of those lanes. After leaving Ship Lane, we soon arrive at Hulkes Lane which houses the old Lion Brewery. This, and a couple of other lanes, appear to lead onto what was Commodore Wharf. Note the Featherstones parking sign again, extreme left. Un-named Lanes, leading down to the river. Many varied buildings behind the shops that used to be Featherstones. Spot the no parking signs! Not all the lanes are open to the public, and I've had to consult the Kelly's Directory to get the names for some of them. This building appears to be the back of the Lion Brewery, which can be seen in Part 3. I had a wander of an area of the Medway Towns that doesn't appear to of been covered before on the KHF ? the riverfront of the old Chatham Intra. I've driven passed it many, many times (the High Street's of Rochester into Chatham) but never really looked down towards the river. Yesterday, on foot, I did, and this is what I found. I'll break it into sections, lots of photos to add. Referring to this 1907 map of the area, I started at what is shown as ?Boatbuilding Yard?, on the left. This was originally Doust's, and is now land owned by the University of Creative Arts. Apartments have been built for students, but there are still reminders of it?s former past. Possible remains of the slipway? I believe this whole area is still owned by the Featherstone group, as the red sign above the car is a parking restriction on behalf of them. The same sign is present behind all the other buildings along this stretch of land.